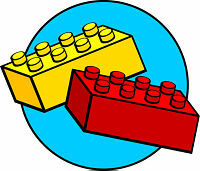 Build, create, and play with LEGOS@your library. Open to children of all ages. Parents, please keep an eye on the youngest children, LEGOs are fun to play with but do not make a tasty snack.